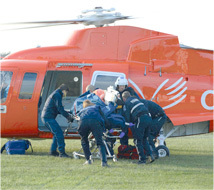 Ornge is a charitable organization that coordinates all aspects of Ontario’s aero-medical transport system. Ornge operates one of the largest aero medical and critical care land transport medicine programs in North America and currently has more than 300 employees in eight areas of operation. This includes over 200 paramedics, pediatric transport nurses and transport medicine physicians. Ornge’s expertise in transport medicine lies in its ability to serve more than 12 million Ontarians throughout a geographic area of 1 million square kilometres, delivering its scope of services through comprehensive door-to-door acute care aero medical transport. Ornge utilises over 30 bases across the province, 9 of which are staffed 24 hours, 7 days a week. Electroman LLC is a wholly Omani owned Company, incorporated in 1977 in response to the Sultanate’s accelerating high-tech requirements. 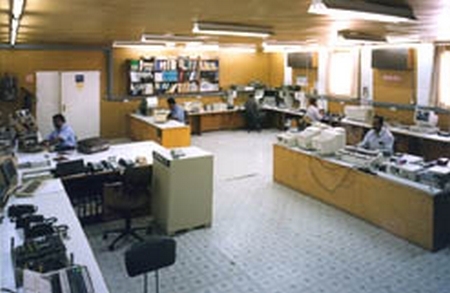 Foremost among the factors responsible for Electroman’s success is its capacity to represent the business interests of a number of Major Global Fire and Security, Telecommunications and Electronic equipment Manufacturers and Suppliers. Po. Box : 82, C.P.O. The service is vital to Wales with its widely scattered population, many in remote and isolated communities far from an A & E hospital.With a 2.9 million population plus high influx of tourists in the summer, the need is created for at least 2 helicopters 7 days a week. Mae’r gwasanaeth yn hanfodol i Gymru gyda’i phoblogaeth hydnod wasgaredig, llawer ohonynt mewn cymunedau anghysbell ac ymhell oddi wrth ysbyty Damweiniau ac Argyfwng, Gyda phoblogaeth o 2.9 miliwn a mewnlifiad uchel o dwristiaid yn yr haf mae hyn yn creu angen am o leiaf 2 hofrennydd 7 diwrnod yr wythnos. Gary Bickely, Managing Director of De Vere St.David’s Park Hotel in Ewloe, Flintshire receives a Community Mark award on behalf of staff at the hotel, after their efforts in raising over £30,000 for Wales Air Ambulance. Wales Air Ambulance relies ENTIRELY upon charitable donations to keep our air ambulances flying and saving lives across the whole of Wales. Each lifesaving mission can cost up to £1000. We would be delighted to come and discuss all or any of the above personally with you. Please call our fundraising offices in Swansea 08700 720999 or Wrexham 08700 736999. Since its foundation in 2000, the charity has expanded to provide a 365 day a year service covering Cambridgeshire, Norfolk and Suffolk. 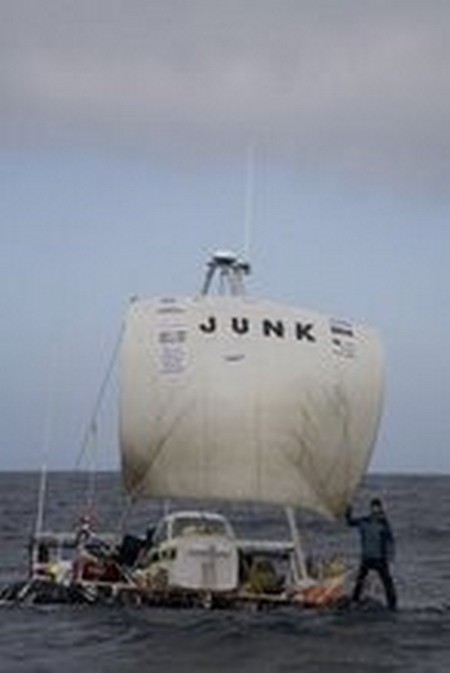 In August 2007, we took on Bedfordshire. Unbelievably, this means we cover an area approximately 11% of the total area of England. With the assistance of the NHS Ambulance Trust and the Magpas Emergency medical team, our second Air Ambulance is now covering Bedfordshire and Cambridgeshire. MAGPAS is a charity based in Cambridge, supplying highly trained volunteer doctors to assist the NHS Trust paramedics fly on the second Air Ambulance five days a week. 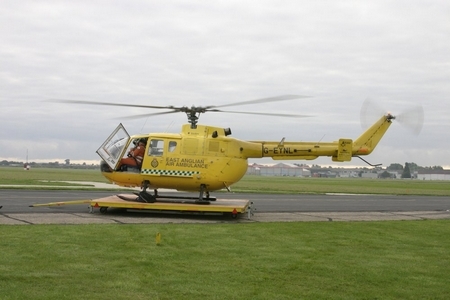 The East Anglian Air Ambulance is currently paying for the NHS Trust paramedics on the second helicopter. We fly an average of 4 missions per day. It’s our job to get patients to hospital within the “Golden Hour”, and in an air ambulance that journey will take only minutes, greatly increasing patients’ chances of making a full recovery. 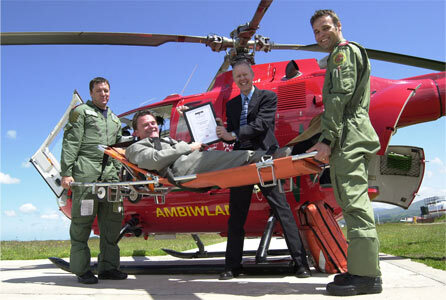 Here in East Anglia we need an air ambulance more than ever. Our roads are getting increasingly congested, leading to ever more road traffic accidents – which already make up more than 50% of our work. We are considered the most rural area in England with accidents occurring in remote locations not easily accessible by land ambulances. The East Anglian Air Ambulance and MAGPAS are both charities, relying on donations from the public to continue services. Our three helicopters serve an area of 8,000 sq miles and a population of over 7.8million. Derbyshire, Gloucestershire, Herefordshire, Worcestershire, Leicestershire, Shropshire, Staffordshire, Rutland, Warwickshire, the West Midlands and the Welsh borders. From their bases at RAF Cosford (near Wolverhampton), Strensham North Services on the M5, and The East Midlands Airport at Castle Donnington (near the M1) the helicopters are available for up to 10 hours a day, seven days a week. 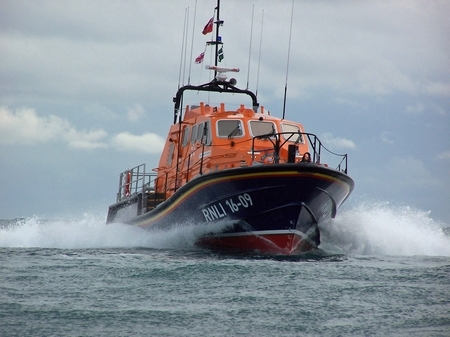 · As a registered charity, the RNLI relies on voluntary contributions and legacies to ensure its volunteer crews have the very best lifeboats, equipment and training to help them save lives at sea. Mike Flanagan produces custom cartoons for clients across a very wide range of subjects. 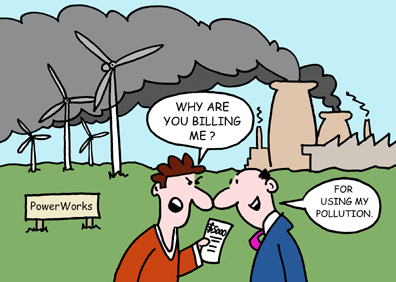 The cartoon shown here was one of seven produced for clients: PowerWorks in California.